Until recently, the Tent of Tomorrow looked very yesterday. 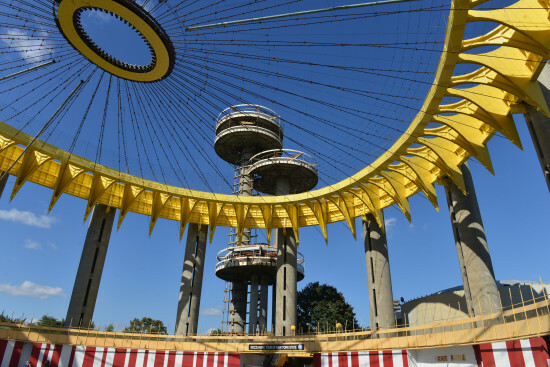 Part of the Philip Johnson–designed New York State Pavilion at the 1964 World’s Fair has been restored to its original color, “American Cheese Yellow,” earlier this month. 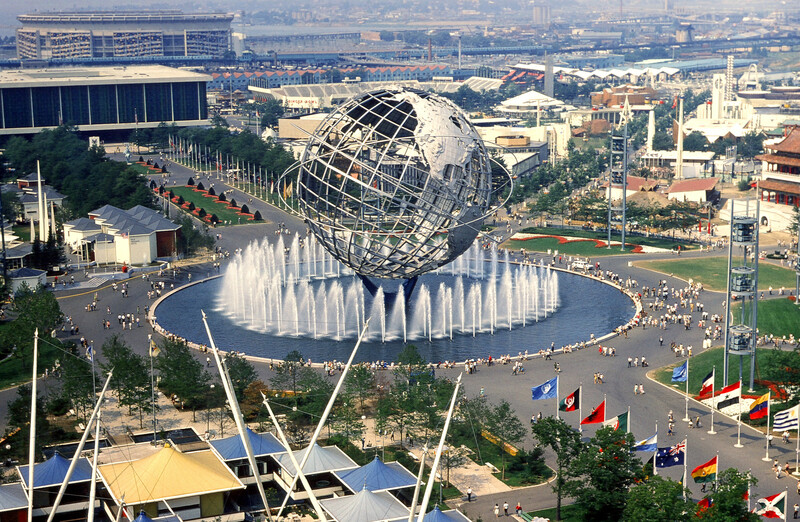 New York City has allocated almost $8.9 million to shore up the tent, the pavilion, and other relics of the World’s Fair in Queens’ Flushing Meadows Corona Park (including the Unisphere). Designs for the structural reinforcement and preservation of the pavilion will be in by fall 2016, with construction to begin in 2017. 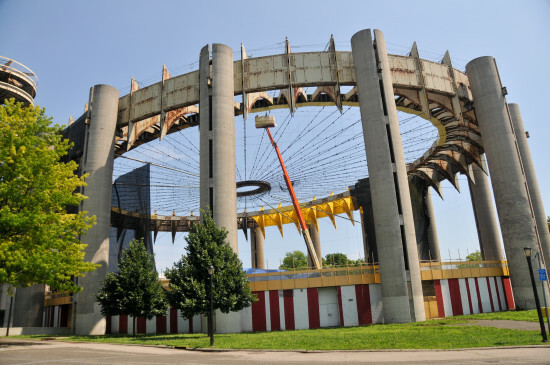 The National Trust for Historic Preservation and preservation group People for the Pavilion, in partnership with the city, will begin soliciting ideas for design and programming in the space early next year. New Yorkers got a rare glimpse inside the relic at last week’s Open House New York Weekend. 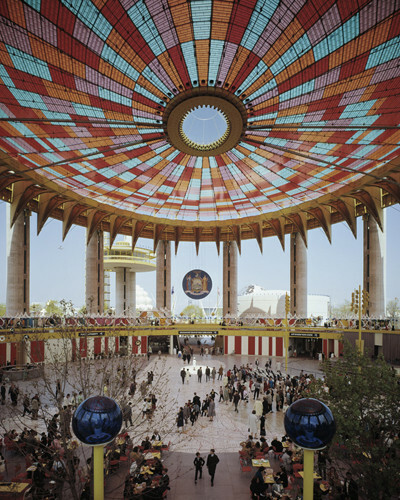 Sixteen, 100-foot-tall columns support a 50,000-square-foot ceiling with colored clear panels. 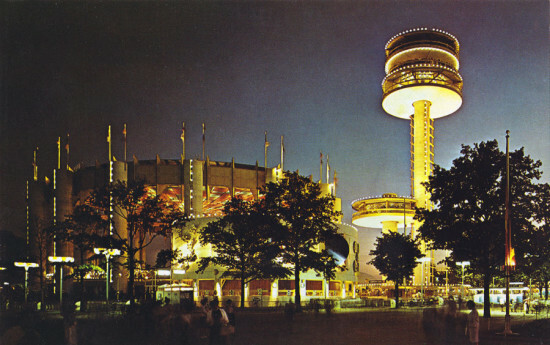 Three towers of 60 feet, 150 feet, and 226 feet—most recently famous as spaceships from the film Men in Black—stand adjacent to the tent. 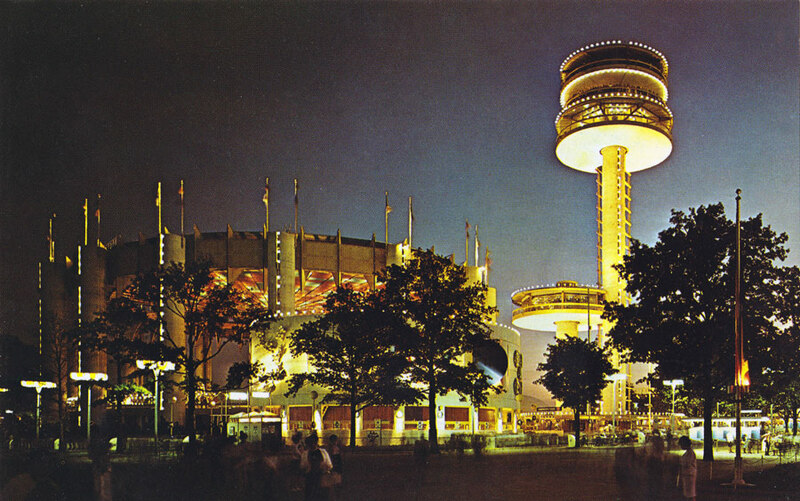 The shorter towers held cafeterias, while the tallest supported an observation deck. 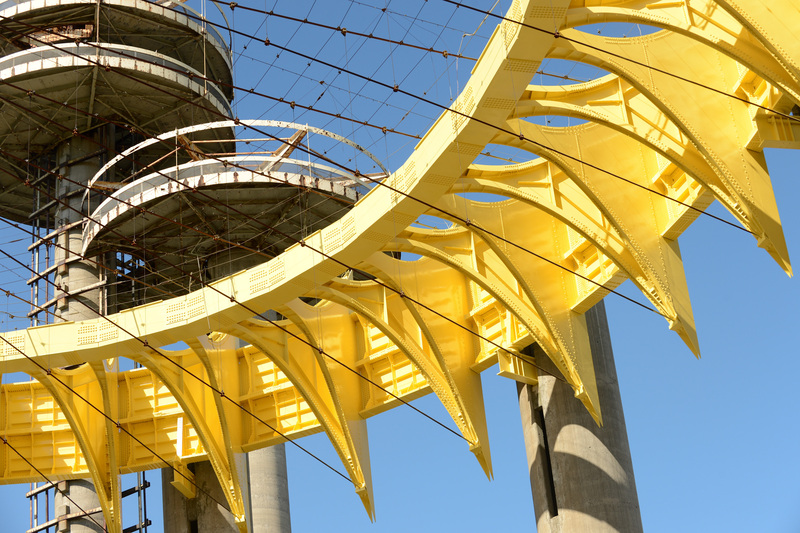 To fulfill apprenticeship requirements, 30 bridge painters from Painters DC 9 and the Painting Contractors Association worked for a combined 8,000 hours to bring the Tent of Tomorrow’s steel diadem back to its original color. This phase of the project was done pro bono, with an estimated value of $3.25 million (really). The city estimates that the fresh paint will extend the life of the structure by about 15 years.